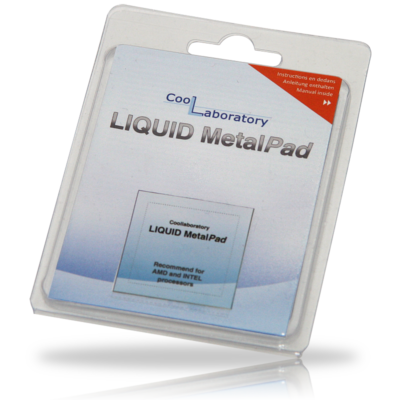 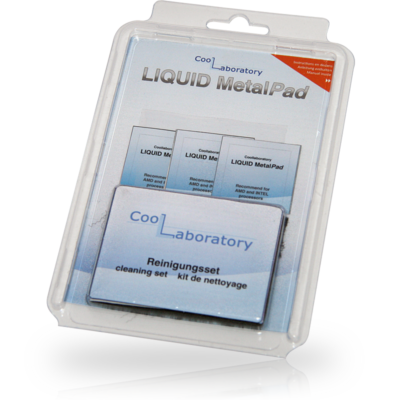 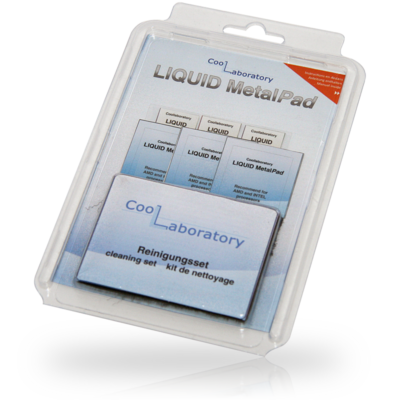 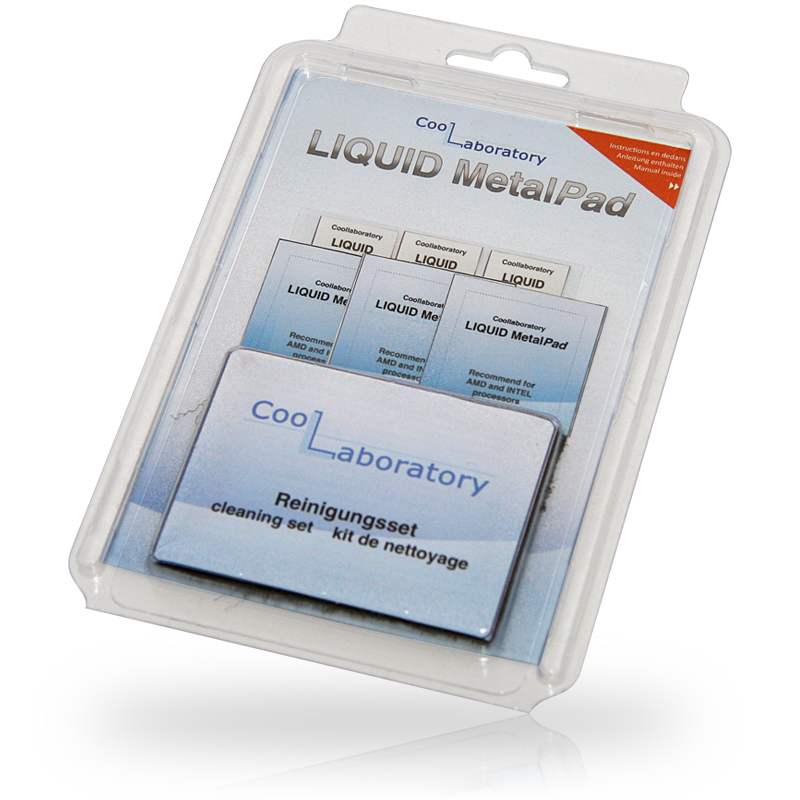 The Coollaboratory Liquid MetalPad ist the first heat conduction pad, which is composed of 100% metal and melts with just less heating (BurnIn-process), then it confects its superior heat transfer. 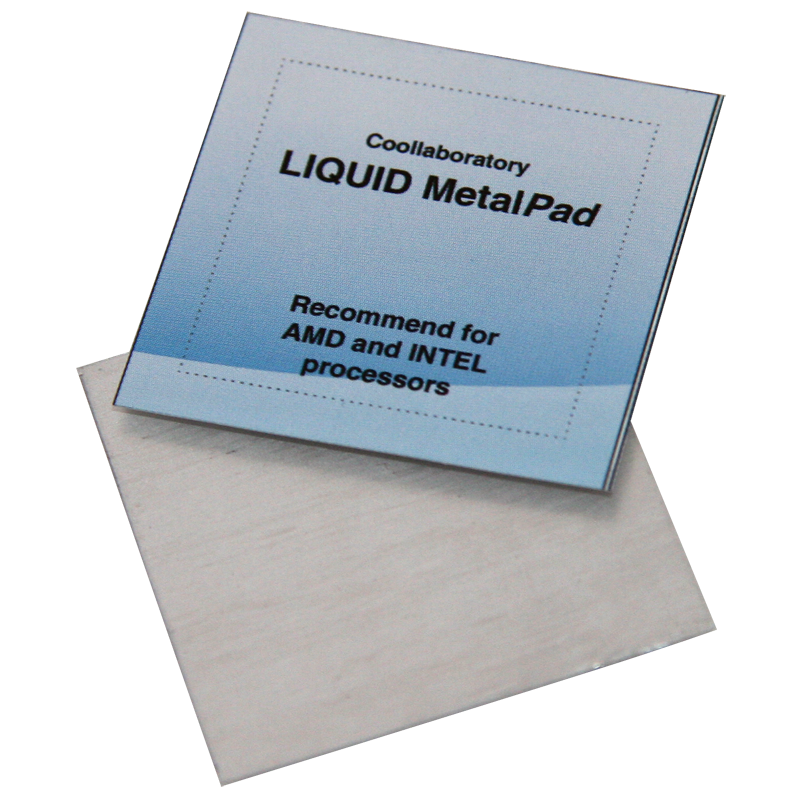 It dissipates the heat fast and efficiently and needn´t hide from the best heat conduction paste. 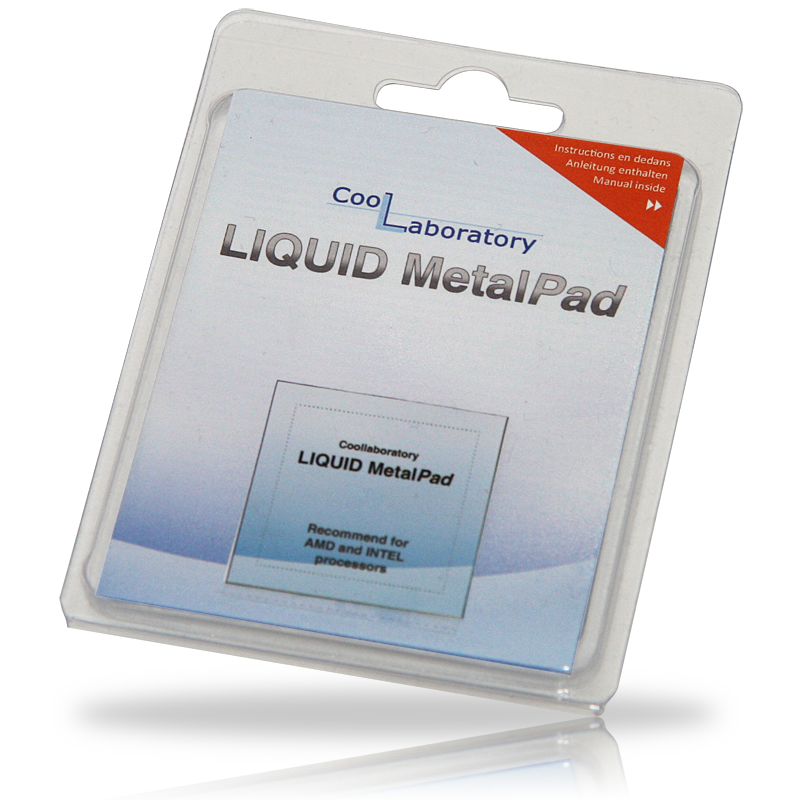 The simple, clean and fast installation turns the Liquid MetalPad into the ultimate heat conduction medium. 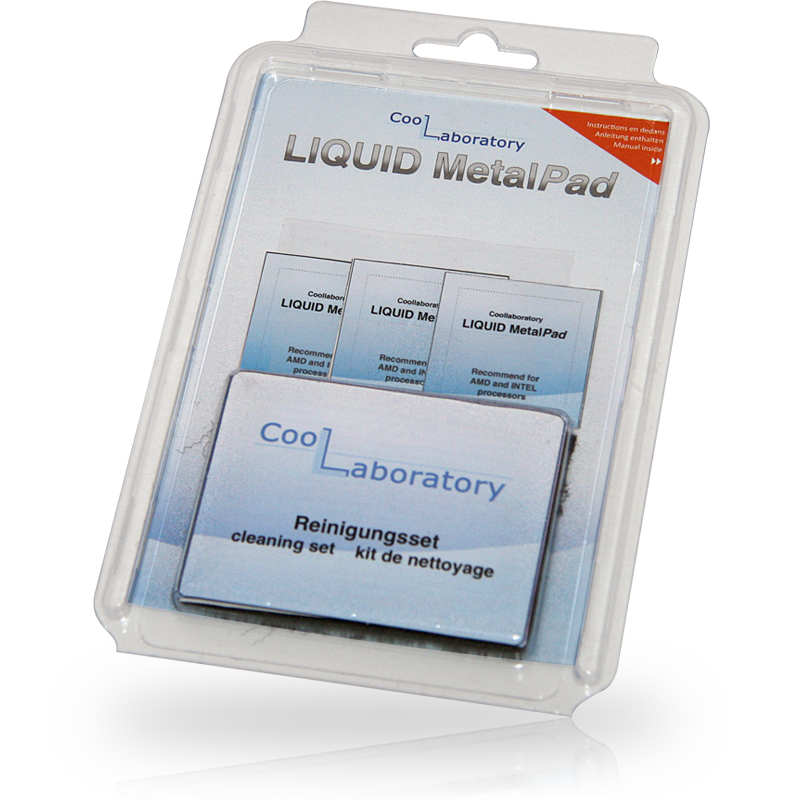 The Coollaboratory Liquid MetalPad ist the first heat conduction pad, which is composed of 100% metal and melts with just less heating (BurnIn-process), then it confects its superior heat transfer. 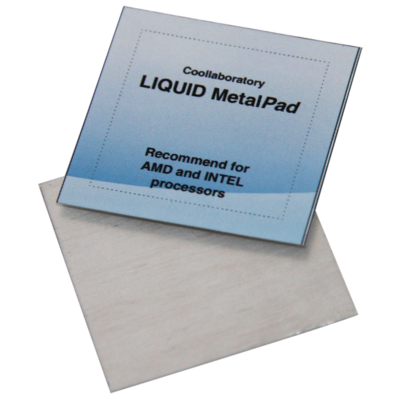 It dissipates the heat fast and efficiently and needn´t hide from the best heat conduction paste. 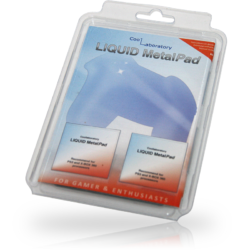 The simple, clean and fast installation turns the Liquid MetalPad into the ultimate heat conduction medium for High-End PCs and game consoles. 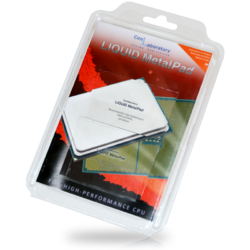 The Liquid MetalPads are available for CPU’s (~ 38x38mm), GPU’s (~ 20x20mm) and game consoles (~ 42x42mm). 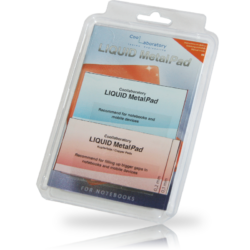 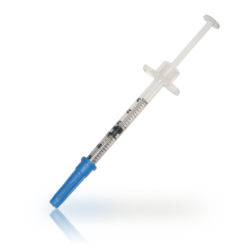 Additionally there is a detailed printed manual included and according to the product variant a cleaning set for removal / cleaning of the contact area before and after using the Liquid MetalPad.